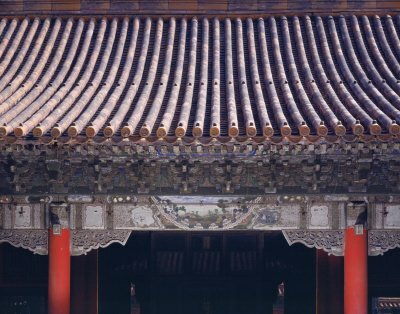 Built in 1417, the Palace of Earthly Honor (Yikun gong) was originally named Palace of Myriad Peace (Wan'an gong), and called the present name during the Ming Jiajing reign (1522-1566). 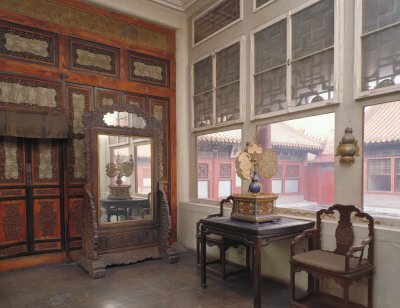 It was the residence of emperesses and concubines in the Ming and Qing dynasties. On grant ceremonies,empress dowager Cixi would receive respects here from imperial concubines.On her fiftieth birthday in 1884,the empress dowager Cixi once received congratulations from courtiers here.